Wooden acoustic panel of 595 x 595 mm (69 mm thick). Boxes of 6 units (2.12 m2), foam core and wooden panel. Available in nordic, cerise, white or black. 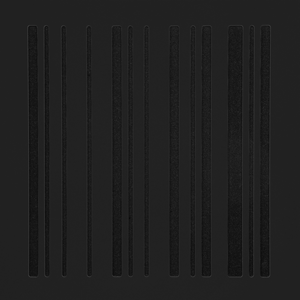 Optimal acoustic performance for control and mastering rooms. 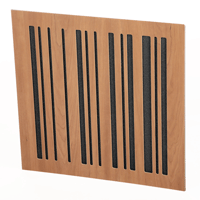 The latest generation STRECKKOD acoustic panel combines diverse techniques in one product to obtain a panel with excellent acoustic properties and great versatility in addition to a carefully designed aesthetic finish with a wooden panel that enables it to be integrated into the decoration of the space. 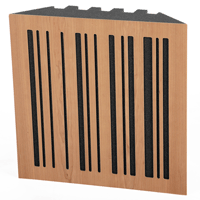 The STRECKKOD panel has been innovatively developed by fusing diverse techniques used in classic acoustic products to achieve the most complete, general acoustic panel on the market. 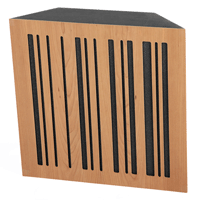 The foundations of the panel are based on a core of high-performance acoustic foam, which provides a base with a high sound absorption capacity at medium and high frequencies (wideband absorption) and a unique design that includes a set of air chambers that increase its absorption capacity by up to 20%. This design also optimises shipping, reducing the volume occupied by up to 30%. The sound-absorbing nucleus includes a wooden panel that acts as a resonance membrane, improving absorption at the lowest end of the usable spectrum (medium-low frequencies). The wooden panel also presents a series of grooves based on a mathematical MLS diffusion sequence, providing the product with a combination of absorbent zones and reflective zones that transform excess absorption of the nucleus at high frequency into sound diffusion capacity, therefore maintaining the appropriate definition of the room. 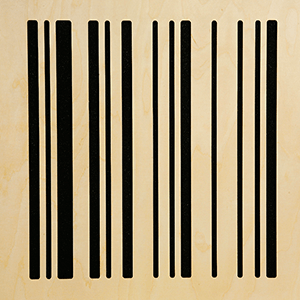 The wooden panels are available with varnished 'Nordic', 'Cerise' or lacquered in white or black colors. High-performance foam core with air chambers that improve its absorption capacity by 20%. 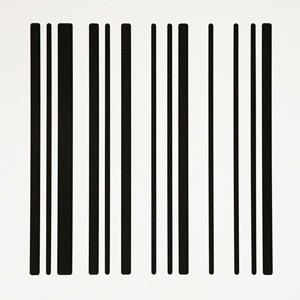 Exclusive design of the core that optimises the efficiency of shipping, reducing the volume by 30%. 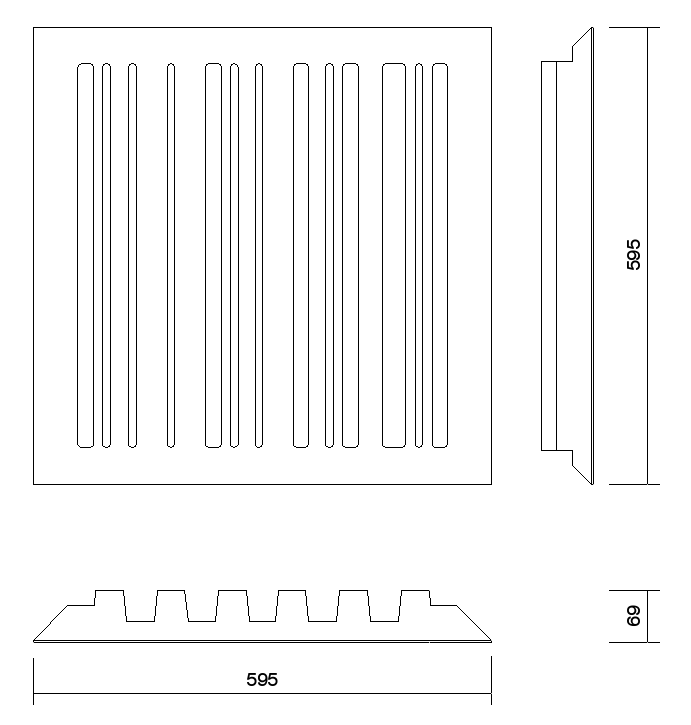 Core with bevelled sides at 45º, enabling the panel to be installed in corners and transforming the panel into a medium-low frequency absorber. 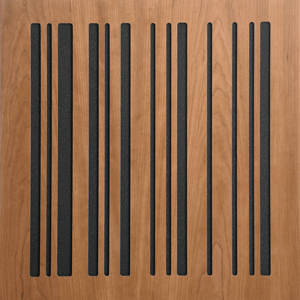 Wooden resonant panel that increases the low-frequency absorption capacity. Grooved design on the wooden panel using an MLS sequence, providing a degree of spectral sound diffusion (without affecting the phase of the wave) while maintaining the definition of the room. STRECKKOD is the perfect solution for the correction of reverberation, reduction of stationary waves, and control of reflections, drastically improving clarity in rooms that require the precise control of its acoustics with careful and professional aesthetics. It has been developed for the acoustic treatment of music studios, control rooms, mastering rooms, Hi-Fi, radio/television studios, etc. If you have any queries, contact us! Our acoustic technicians will be able to assist you.